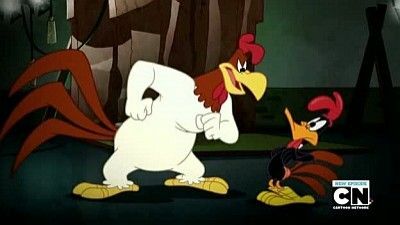 Daffy portrays Foghorn Leghorn in a movie. 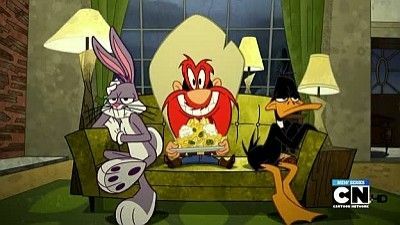 Bugs and Yosemite Sam find a vase buried in the backyard and it could be valuable. 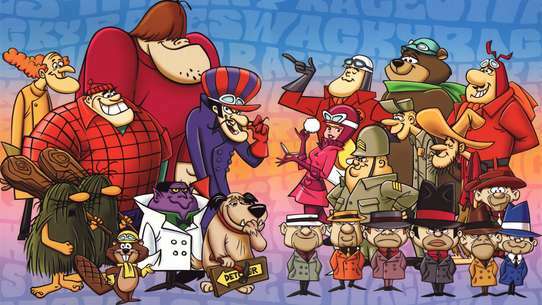 CGI Wile E. Coyote and Road Runner short: "Silent But Deadly" is a very funny spoof of kung-fu/superhero films. 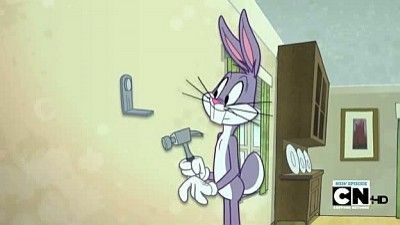 Bugs Bunny puts up a shelf for his Nobel Prize with disastrous results. 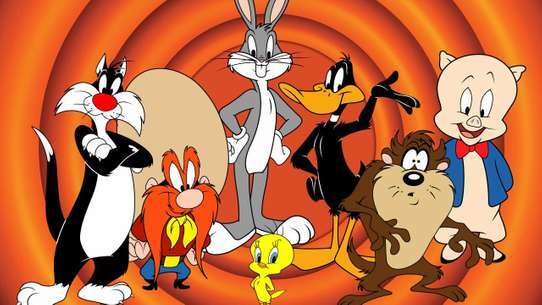 Merrie Melodies: "Chintzy" by Daffy Duck featuring Porky Pig. 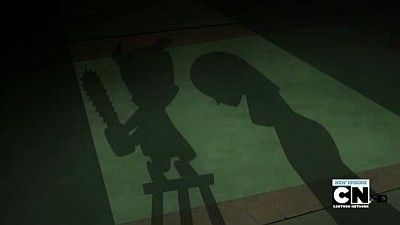 Wile E. Coyote and Road Runner short: "Goner with the Wind". 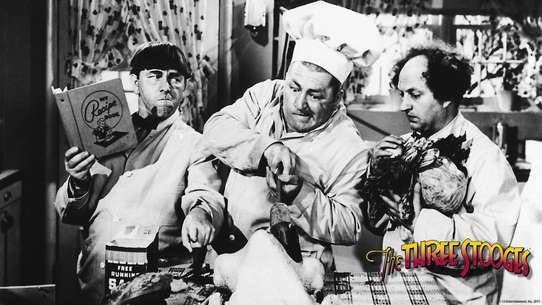 Daffy gets a new job with disastrous consequences. 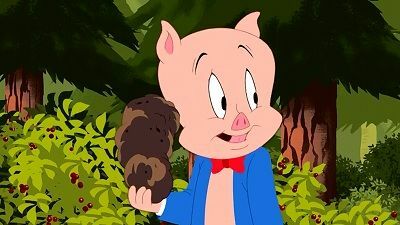 Merrie Melodies: "Pizzarriba" by Speedy Gonzales. Wile E. Coyote and Road Runner short: "Another Bat Idea"
After winning a romantic evening for two (by rigging a contest, of course), Daffy must find the right partner to take on a dream date at a fancy restaurant. Lola provides him with a script of what every woman wants to hear, and as he reads it, Lola herself becomes smitten. 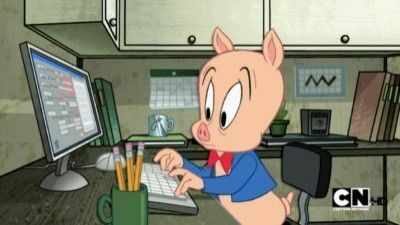 However, Daffy has already decided that he wants to bring Tina, a gum-smacking duck who works at the Copy Place. They have a great time, but Lola’s jealousy pushes her into stalker territory. 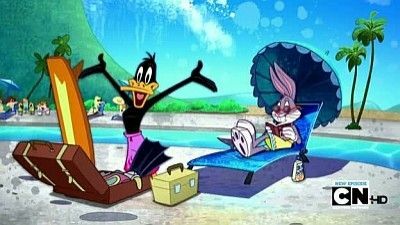 In the end, Lola starts to get along with Tina, and Bugs complains that Lola is suppose to be his girlfriend- so Lola once again becomes Bugs' girlfriend and Daffy is dating Tina. 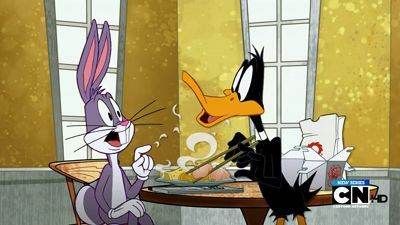 Merrie Melodies: "Be Polite" by Mac and Tosh featuring Marvin the Martian. 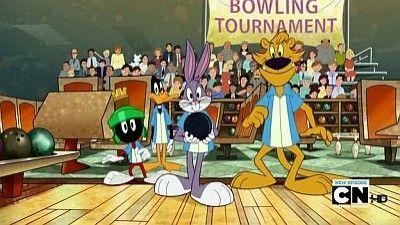 CGI Wile E. Coyote and Road runner short: "Wile E. Sisyphus"
Daffy and Bugs sneak into an exclusive country club where Bugs finds himself enmeshed in an unwanted relationship with Lola. 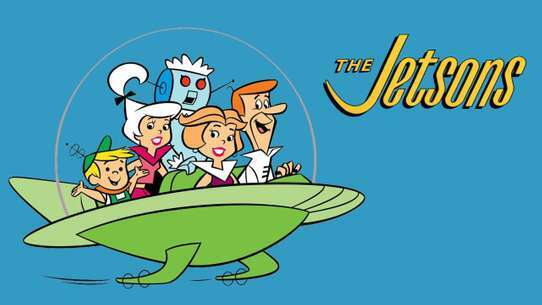 Merrie Melodies: "I'm a Martian" by Marvin the Martian. 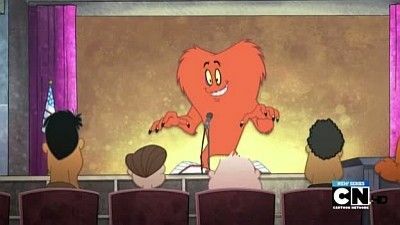 Wile E. Coyote and Road Runner short: "Bubble Trouble"
Daffy tries to prepare Gossamer for a school talent show to help him make friends per his mother, Witch Lezah's request. 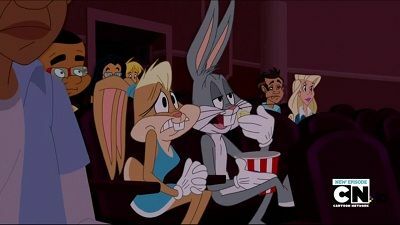 Meanwhile, Bugs becomes an instant celebrity when he stars in Speedy's frozen pizza commercial, but this ends up giving him unwanted attention. 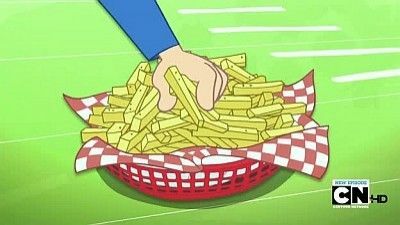 CGI Wile E. Coyote and Road Runner short: "A Zipline in the Sand"
Daffy is upset when Porky accidentally eats his french fries. Yosemite Sam enters a field goal kicking contest. 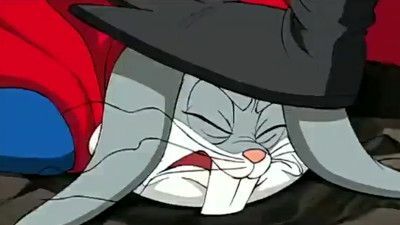 Merrie Melodies: "President's Day" by Lola Bunny. 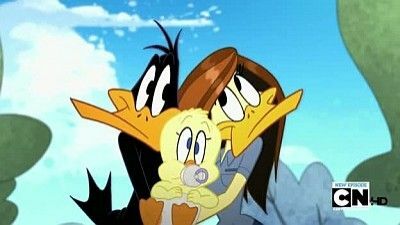 Tina enlists Daffy to babysit her nephew. 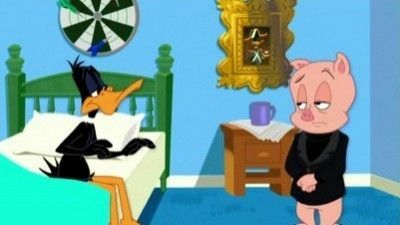 Bugs learns why Daffy calls Porky a bummer. Merrie Melodies: "Skunk Funk" by Pepé Le Pew. 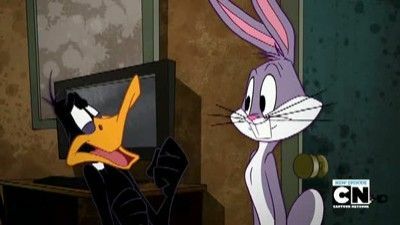 CGI Wile E. Coyote and Road Runner short: "Camo-Coyote"
Bugs tells the story of SuperRabbit, with himself as SuperRabbit, Elmer Fudd as Lex Luthor, and Daffy as Zod! 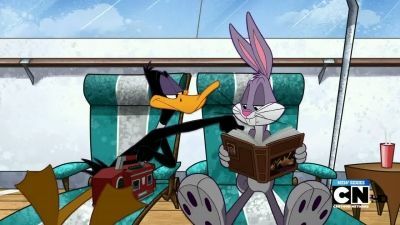 Bugs decides that the time has come for he and Daffy to get a job. 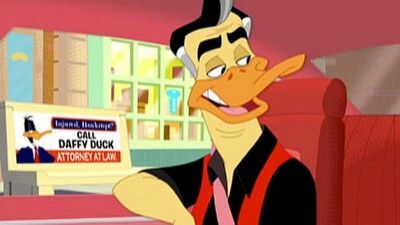 Daffy decides that he needs plastic surgery. 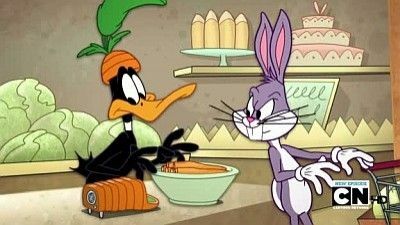 Wile E. Coyote and Road Runner short: "Heartbreak Bridge"
Bugs and Daffy go to a spa where Daffy meets a famous actress. 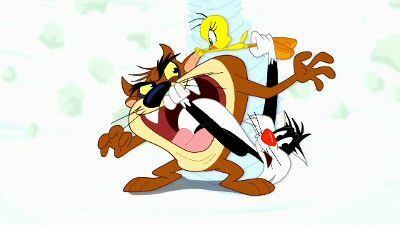 Despite his attempts to impress her, Daffy's mischief ends up causing him misery and abuse at the hands of her abrasive bodyguard. 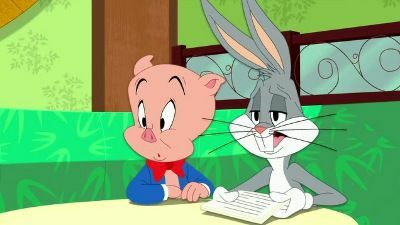 Bugs on the other hand earns the actress's affections with his cool calm and collected attitude. 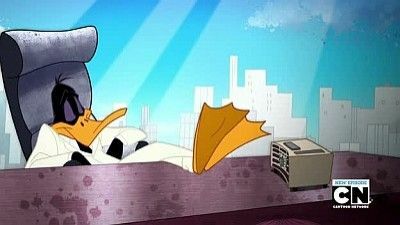 Daffy's final attempt to win the actress's side only has him turned back into a duckling due to the effects of the mineral bath and had to be left in the care of his Uncle, whom they'd met earlier. 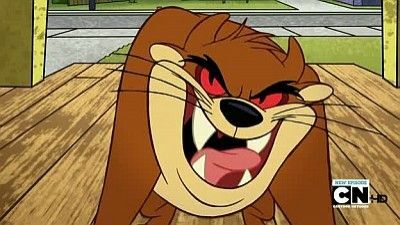 Merrie Melodies: "Queso Bandito" by Speedy Gonzales CGI Wile E. Coyote and Road Runner short: "Sail Fail"